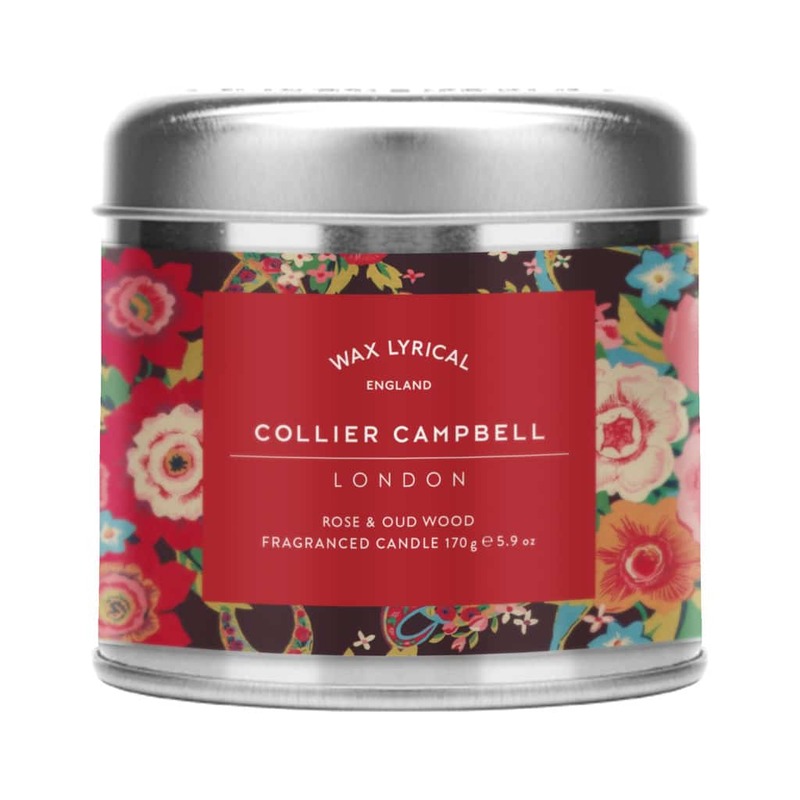 Rose and Oud fragranced candle in a tin decorated with our gorgeous folklorique inspired pattern. 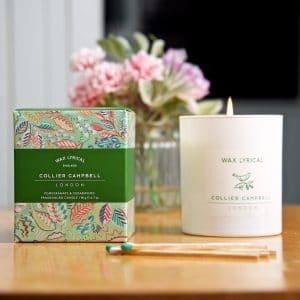 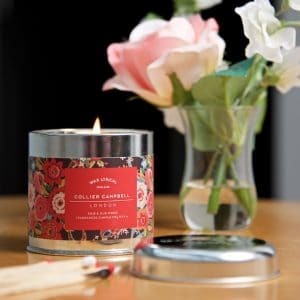 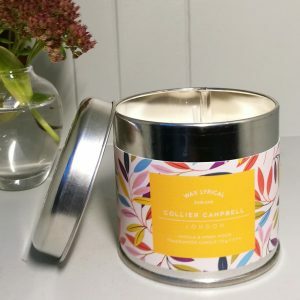 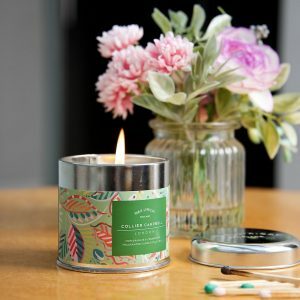 Designed to create a warm, relaxed atmosphere in your home, combining the comfort of a soft, warm candle lit glow with an exotic, expertly blended, romantic fragrance. Enjoy the beautiful scent of roses on a rich velvety base of cedarwood, vetivier and amber, lifted by a hint of raspberry. 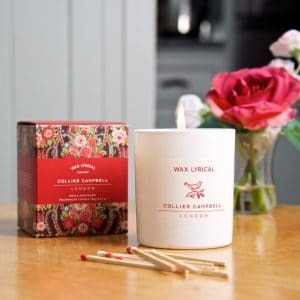 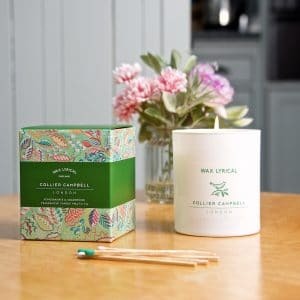 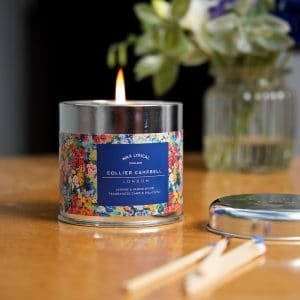 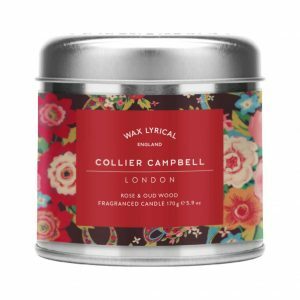 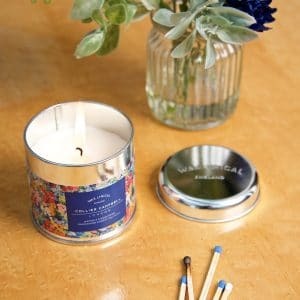 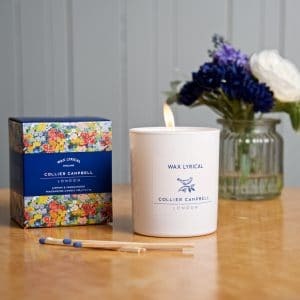 Made in England exclusively for Collier Campbell, this candle makes a lovely Christmas present or a great gift for a birthday or as a thank you for a dinner party or an overnight stay. 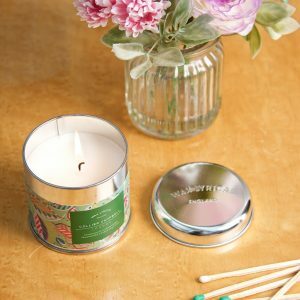 Top Note Soft sweet Rose for an elegant first impression. 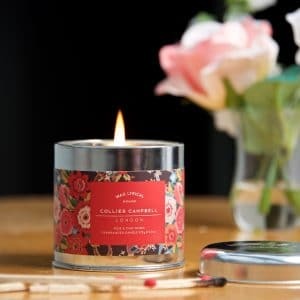 Heart Note – At its heart is a gorgeous mix of Cedarwood and Vetivier that is rich and velvety with a hint of raspberry. 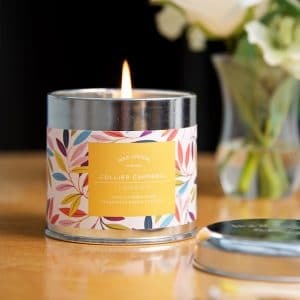 Base Note – Fine Amber to give a musky softness. 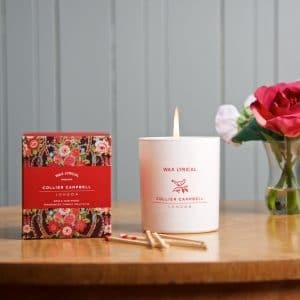 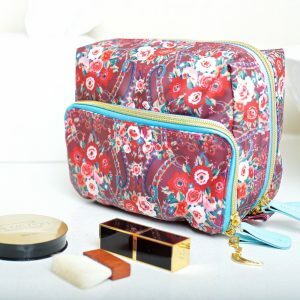 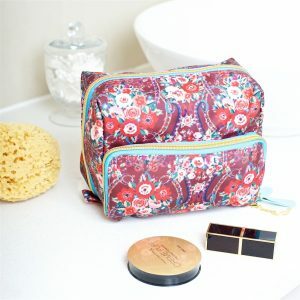 In a tin decorated with our beautiful Pushkin Rose pattern.